Guided city tours in english in Kristianstad and Åhus. Booked directly thorugh me. Price 120 SKR per person, discount at 25% over 10 persons. * Kristianstad in 30 minutes, from Grand Square to Little Square. * The military history of Kristianstad. The age as fortress 1614-1857 and onwards to the end as garrison in 2000. * Jubileewalk 1614-2014, the four centuries of Kristianstad in 90 minutes. 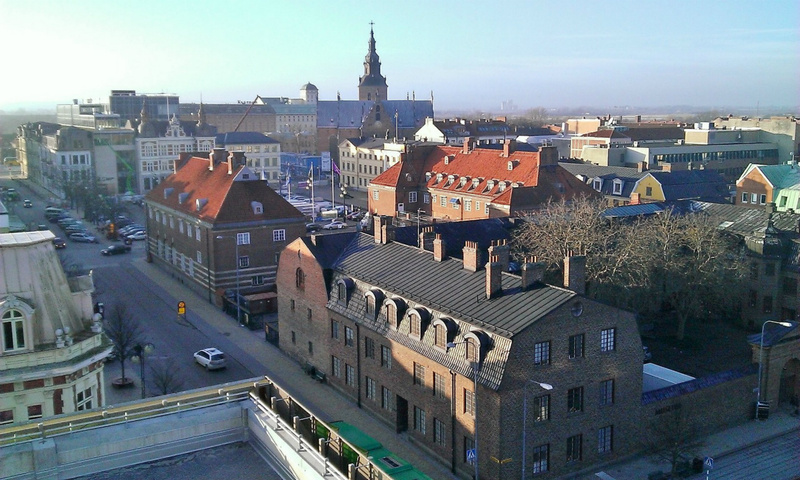 * Kristianstad from above, a walk along the rooftops via the new galleria on too the café at the local Filmmuseum. * Trails of the past, learn the hidden details of history inside the Kristianstad town centre. * Åhus and the Sea, the maritime history of Åhus during the Middle Ages up untill the time as export-centre for eel, tobacco and spirits.